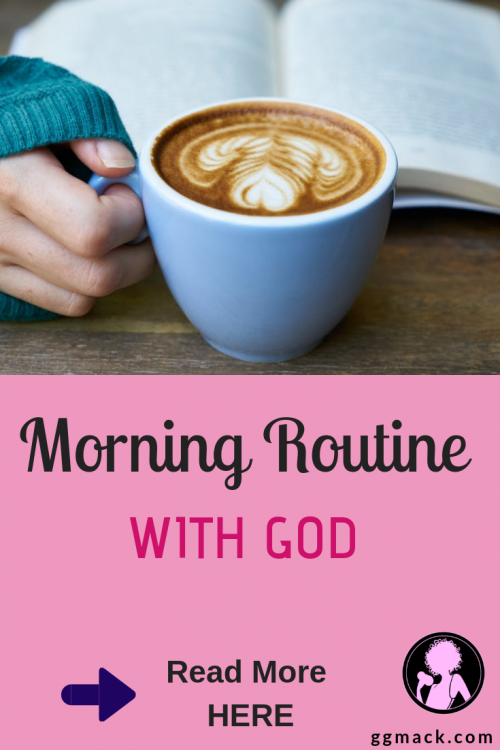 Do you have a set morning routine with God? Are you so busy you can’t even think about sparing one more minute of your time? Are you wanting to grow your faith, but always running around like a chicken with your head cut off? God’s Gals, I am here to help! 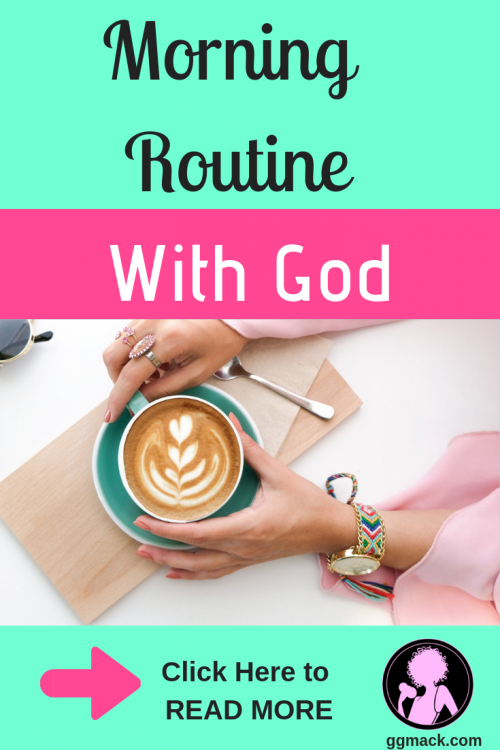 I want to help you get into a Morning Routine with God no matter how busy you are. 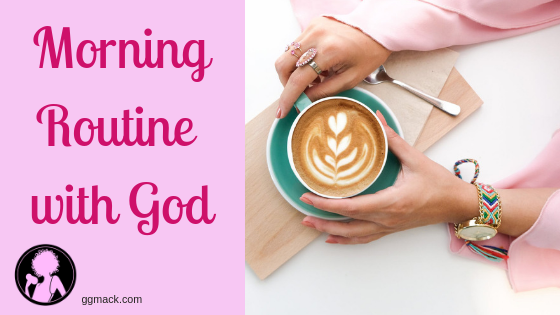 I know a lot of my clients are very, very busy ladies, career women, moms; going to school, having several jobs, taking care of a house; whatever the case may be, it’s so hard to find those extra few minutes to spend time with God. Can I get an amen? 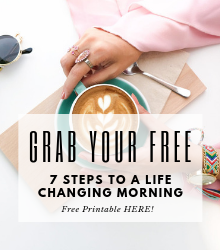 How about a really simple morning routine in just 5 easy steps…Let’s make this easy for you to get started so it’s not overwhelming. I don’t want you to think that you have to sit down in a quiet room with candles going for hours meditating to the Lord. You don’t have to do that. Eventually you may get to that point but when you’re starting out, simple is best and all God wants to know is that you’re trying. We have such a great, loving and merciful Father! I want you to set your alarm just a few minutes earlier. This can be whatever works best for you: can you do five minutes earlier? What about 10 minutes earlier? When I began this years ago, I started with 15 minutes. Put the alarm away from you so that you have to get up and get it. If we begin the day praising God, you’re already in that positive mindset of “Thank you Lord for waking me up to another day. Thank you for the blessings that you’re going to pour all over me today.” Say whatever you need to say in order to begin with Praise and not negativity. 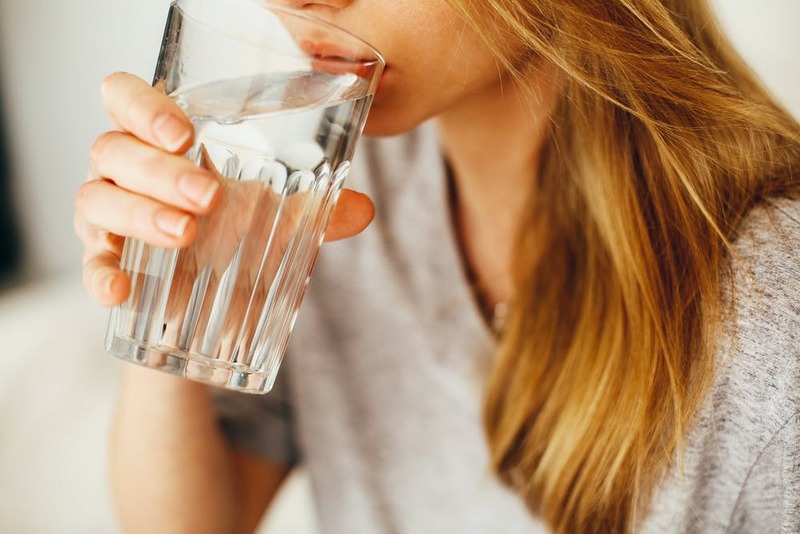 I think this is very important for our bodies…drink a big glass of water. I keep it right next to my bed so the minute I wake up, I just gulp it down, at least eight ounces. While you’ve been sleeping your body has had no fluids and you’ve gotten dehydrated overnight. And let us not forget, these bodies are temples of the Lord. We must take care of God’s body! You’ll feel better and more awakened once you hydrate your body. It also gives you a little bit of energy because Water fires up your metabolism, hydrates you, helps your body flush out toxins, and gives your brain fuel. Sounds like a magic potion, right???? And the best part? It’s FREE! Our next step will happen after you’ve gotten out of bad, splashed some water on your face, used the restroom and whatever else you do first thing upon waking. 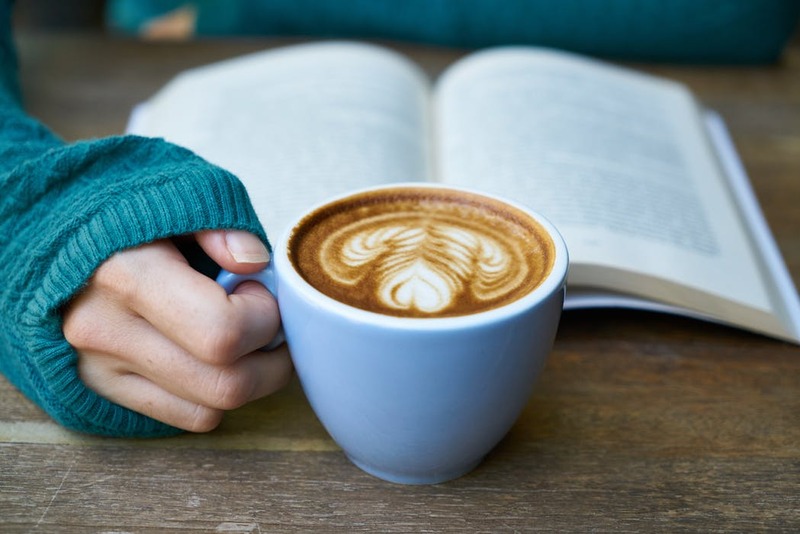 Go get yourself a cup of coffee or tea, whatever it is you like to have first thing in the morning and go and find a quiet spot. Don’t try to do this in an area where everybody’s running around and demanding attention from you. The only quiet spot in your house may be the bathroom or closet; whatever works! Go in there, take your coffee, shut the door and spend your few minutes of quiet time. This is something that you might want to tell your family about. 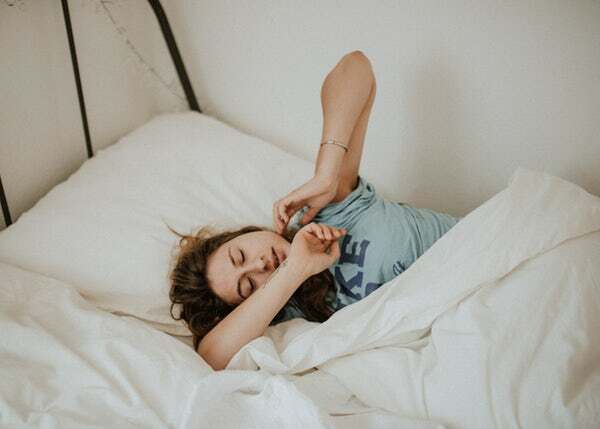 Have a little chat with them and tell them, “I’m going to be waking up a few minutes earlier just to have some quiet time with God so if you can please leave me alone just for those few minutes.” Let them know how important daily time with the Lord is and help them understand why you need this time. Plus, eventually a whole new “you” will emerge with this daily routine!! Now we get into the meaty part! Praying to God. Now depending on how much time you gave yourself, this could be a 5, 10, or 15 minutes to spend in prayer time. Put on your favorite worship music and use the music as your prayer to God. You can sing along or just listen to the words and sit in silence. Daily BIble Reading and journaling. I have an entire blog post on this topic. See below. 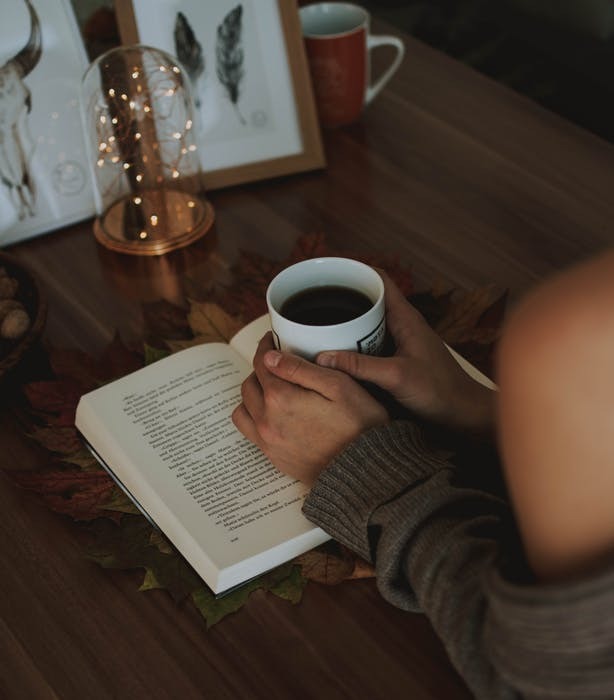 I have a great blog post that will help you get started reading the Bible, if this is something you have always been a bit overwhelmed to start. It’s the Easiest Ways to Start Reading the Bible. 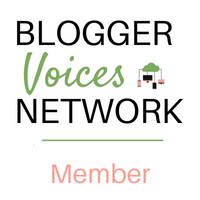 In that blog post, I give you an easy and not time-consuming way to start because I know you ladies are so busy. When you think of your time alone with God each morning, don’t let it overwhelm you. I know just the thought of “praying” can seem intimidating and you may not even know where to start. I plan on doing a future blog post on this topic alone. I want you to just think about chatting with God, like He’s your father, because He is! If you don’t happen to have a good relationship with your own father, think of a good friend that you can confide in. Just talk to Him; thank Him for the day, thank Him for the blessings in your life and praise Him for all He’s doing in your life. And then you can request from Him whatever it is that’s on your heart. Don’t think about your prayer time as just asking, asking, asking. You want to genuinely talk to Him. It does not have to be formal. You don’t have to have candles lit with the Hallelujah Chorus behind you. This is just your time to talk to your Heavenly Father. I want it to be that easy. If reading a devotional is easier for you, start with that. Read the words and really concentrate on the scripture that comes with it and use that devotional as your prayer time. Or check out my blog post on The Easiest Ways to Start Reading the Bible. So it doesn’t have to be any harder than that. Don’t try to make it any more difficult that that. The more you do this, the easier it gets. Eventually you get to a point when you don’t dread the waking up in the morning. God’s going to start working in you so much so that you will have a passion for more time with Him. 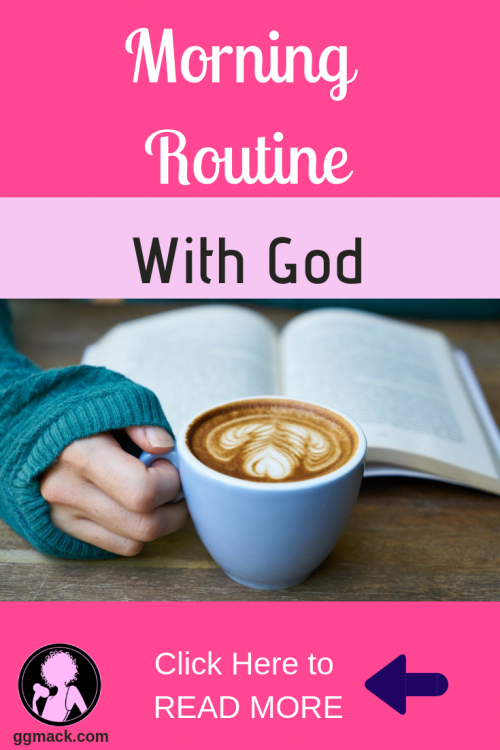 This routine is exactly how I started my daily routine with God, many years ago. Make sure you check out my book, But First, Pray , I tell you all about how I began my daily Bible reading. I set my alarm early, 15 minutes earlier. I had the coffee going. I picked out a perfect little spot for me and I started with the Bible. I started reading the Bible every day and journaling about that. 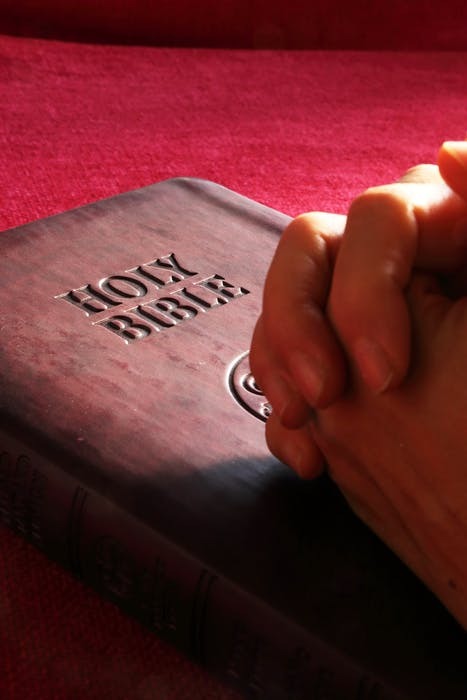 In my blog post: Easiest Ways to Start Reading the Bible. That’s how I taught myself to start diving into that intimidating book – the Bible. And what started for 15 minutes for me has now become almost two hours. I love waking up in the morning, getting my coffee, going into my little quiet spot and spending time with God every day. And He will give you that passion, too. 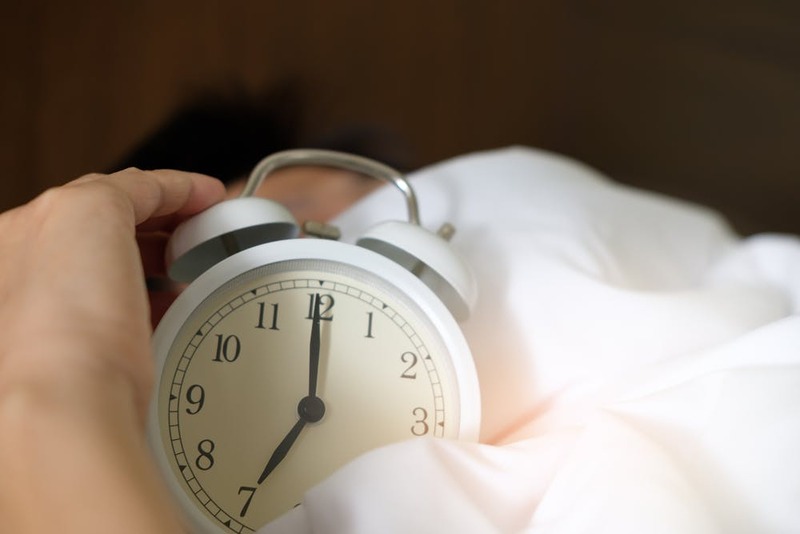 The Morning Routine looks different for all of us and your time with God is not going to be the same as my time with Him. But I like to share how I started and what I still continue to do daily because it might resonate with you. Not only will God give you a desire for spending more time with Him, but He will also give you more time and clear out your schedule. 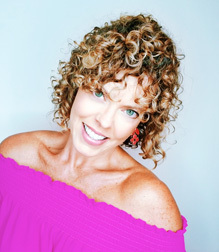 The more He sees that you’re devoting your time to Him, He will arrange your schedule so that you can do this every day and give you that passion for wanting to spend time with Him. It’s amazing! The way He will work in your life. if you allow Him, is astonishing! It’s great to talk to God all day long, pray to Him throughout the day, but I truly feel that He wants us to start every morning with Him, first thing because God is in charge of our whole day. God can arrange every part of our day to fit into a schedule that’s perfect for us. So why not start your day that way and give Him your day. With these 5 easy steps, do you think you’ll be able to spend just a small part of your morning with Him? Why not start NOW??? It’s never too late. Let me know if you’re going to try this out. If you already have a great morning routine, I’d love to hear about it.